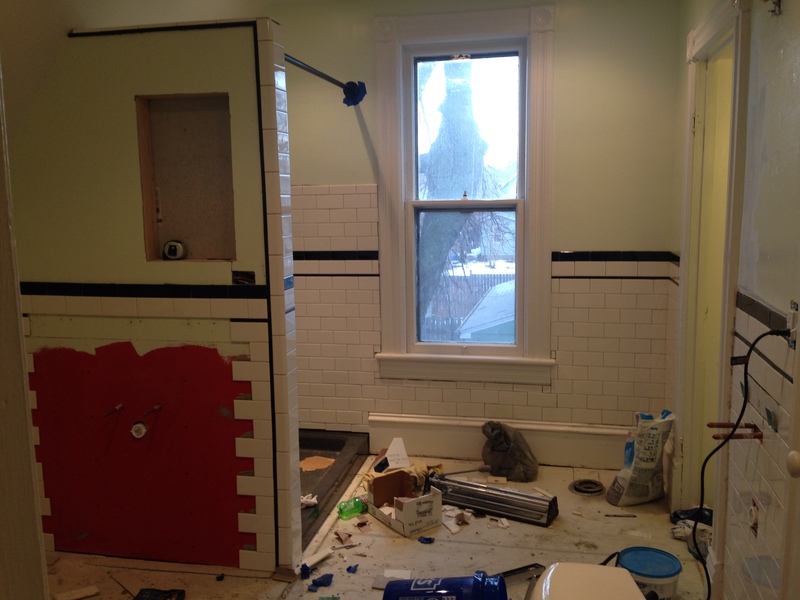 Bathroom Rennovation… will it never end? 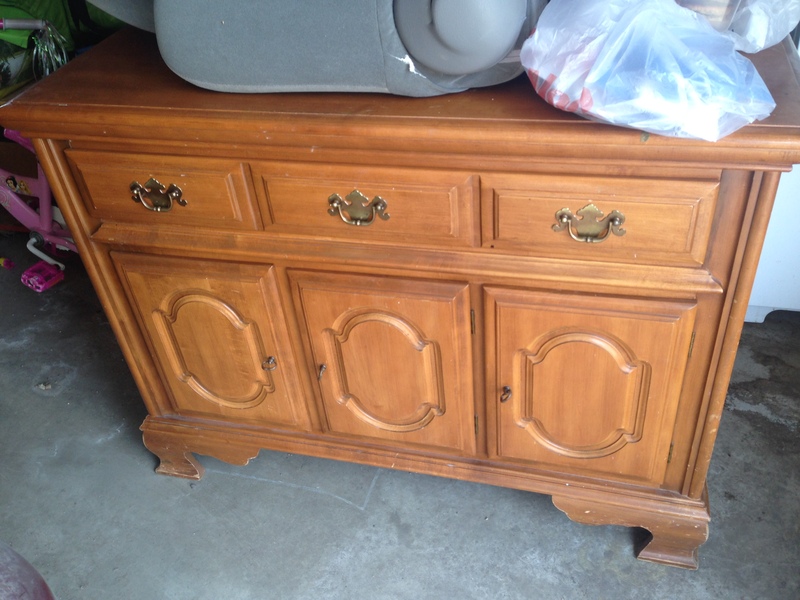 3) I found that elusive 42″x 18″ cabinet I had been seeking on Craigslist. It is solid wood (I think cherry) and was $60. It would have cost over $600 to have one custom made, so I’m calling that a win for the budget! Not the exact same thing, but I think close enough for a $600 savings. We are going to think about making new doors for it, but they might not be too bad once painted. I think we’ll paint it white, but I’m not sure on that. 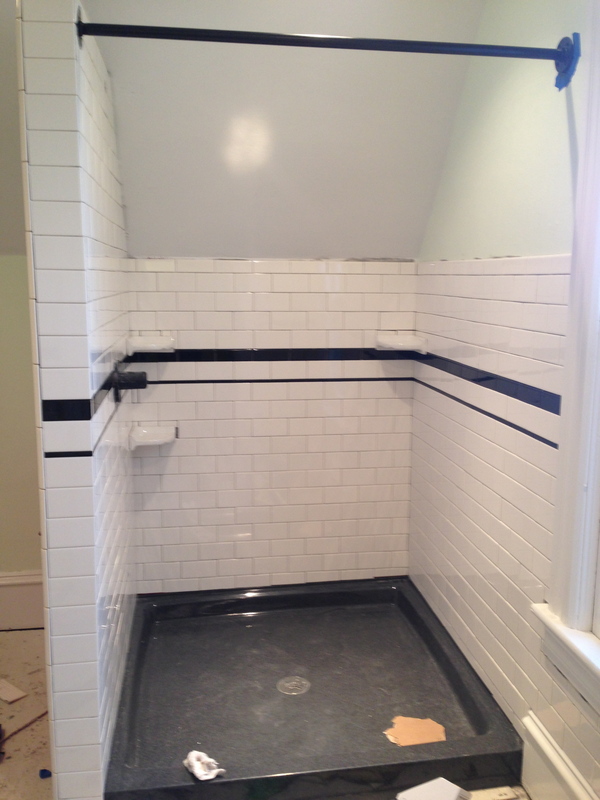 1) Start and finish grouting wall tile. 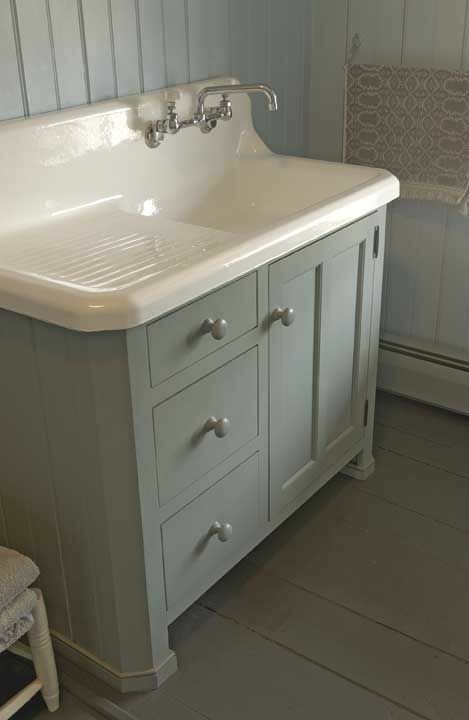 4) Start laying the floor tile? ?